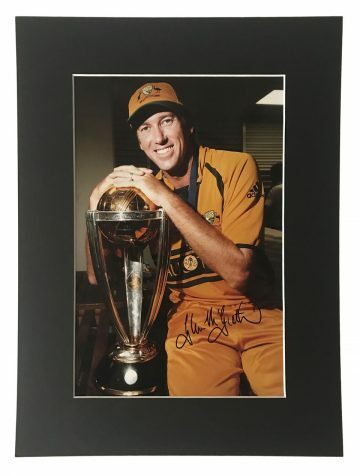 Shop our signed Australia cricket memorabilia including autographed equipment and photo displays by from the key players. 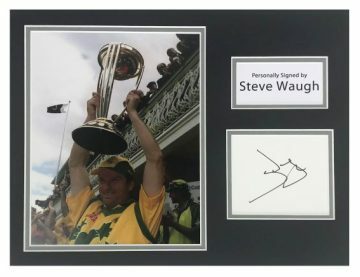 Signed Australia Cricket bats, shirts, caps, balls and photos. 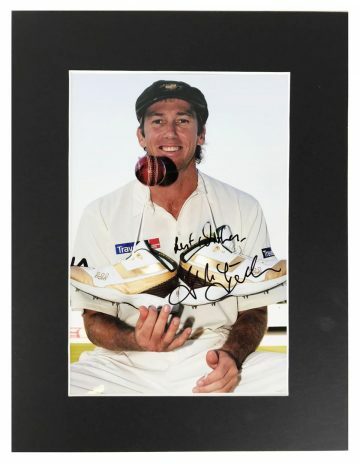 Many with signing proof. 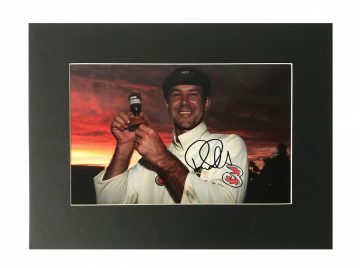 All with fast worldwide shipping, free UK delivery and a Certificate of Authenticity! 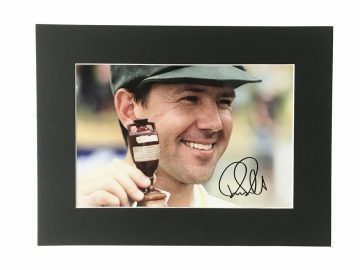 Australia have long been heralded as cricketing greats – ever since the sport first hit the country’s shores in the late 1800s. The national team are the joint oldest in Test cricket history – alongside England. They played their first ever test match in 1877, where they beat their English rivals by 45 runs. This was to be the beginning of a life-long rivalry between the two nations, culminating in many a closely-fought battle. 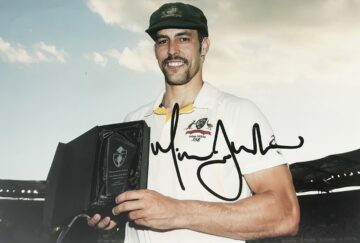 Now England and Australia enjoy a fierce but healthy rivalry, which culminates in The Ashes tournament once every two years. The Ashes themselves come from the burned bails of a cricket stump and are preserved in a terracotta urn. 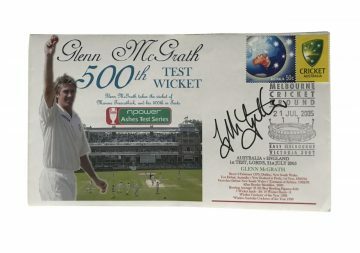 The tradition began after England lost to Australia on home soil in 1882 and The Sporting Times declared that ‘English cricket was dead, and the body will be cremated and the ashes taken to Australia.’ The first ever tour was seen as ‘the quest to regain the Ashes’ – and competition between the two nations has been strong ever since. 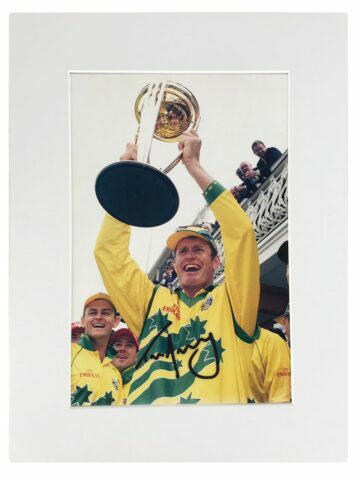 Australia’s track record in cricket is remarkable. 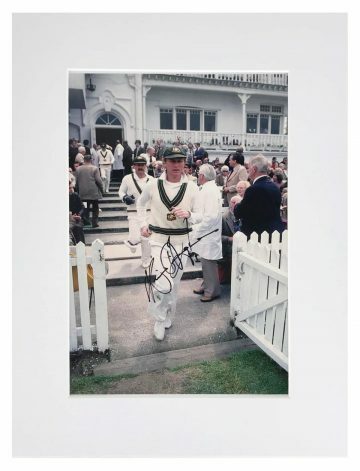 In total the national team has played 814 Test matches, winning 383 and losing 220 – with 209 draws and 2 ties. Their fantastic score sheet makes them the number one cricket team overall in Test cricket. 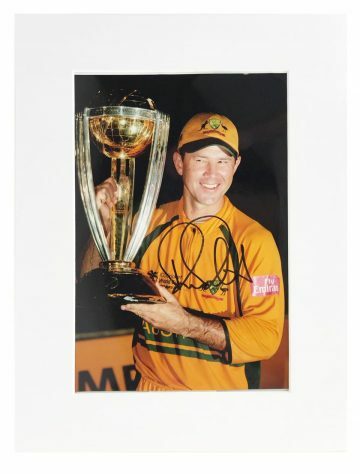 In the ICC ODI championships the team also consistently excels, having won 517 of their total 917 matches. 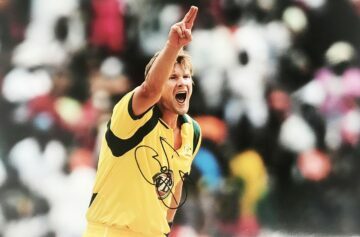 Of the 185 months the tournament has been running Australia have been ranked first for 141. In the World Cup they’ve made a record seven final appearances, winning five times. 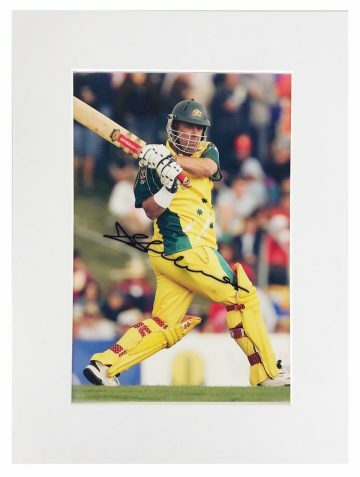 Cricket in Australia is huge – and the sport has a massive following. It is one of the nation’s most popular sports – on a domestic, local and international level. The largest stadium is Melbourne Cricket Ground, with a capacity of over 100,000. A record 1,311,184 people played cricket in Australia between 2015 and 2016 – making it the country’s number one sport. 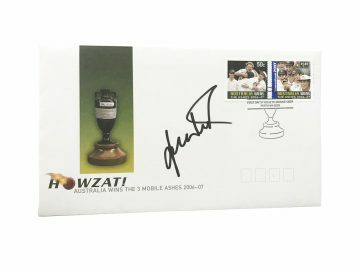 Buy signed Australia cricket bats, balls, caps, player’s shirts and photo displays, all featuring autographs from the Australian national team. We carefully select each item from our reputable sources, supplied with a certificate of authenticity for full peace of mind.